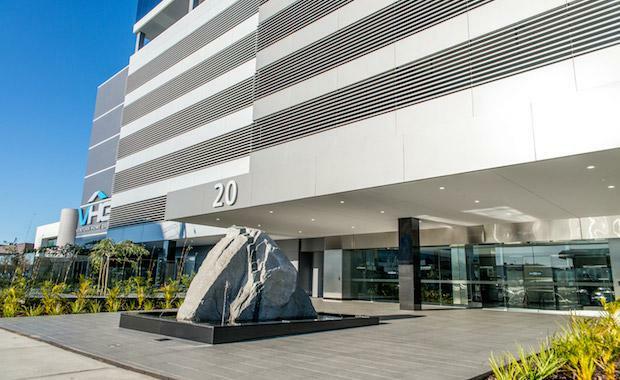 One of Perth’s largest suburban office buildings in Osborne Park, has been fully leased prior to practical completion. The 12 level, 20 Walters Drive building is situated in the Herdsman Business Park. It comprises 15,000 square metres of space, with typical full floors averaging circa 2,300 square metres. The leasing agent for the building, CBRE Office Services Senior Director Andrew Denny, said the project had attracted strong interest, despite the perceived challenging market conditions. Ventura Homes has leased the whole of levels 6, 7 and 8 totalling 6,639 square metres, while the Department of Education has leased level 9 totalling 2,310 square metres. BGC Contracting has taken the remaining office space totalling 5,458 square metres on levels 10, 11 and 12. Levels 1 to 5 are dedicated to car parking, providing a total of 550 spaces. The ground floor tenancies have been leased by Dome Coffees and an Asian food operator. Mr Denny said terms were agreed with all the tenants prior to practical completion of the building. Rents in the building vary from $415 per square metre to $460 per square metre. “To have a 15,000 square metre development fully leased prior to completion in the current market is a significant achievement,” Mr Denny said.